Looking for a place to sell gold silver & coins collections? How to sell coins in Chicago- Coin Shop! How to sell silver in Chicago! How to sell gold Chicago! Where to Sell Gold Wedding Rings or Diamond Rings in the Chicago Area…..
With differing gold purity and price points, you should be able to know what you’re paying for. You don’t want to flaunt a 10k gold thinking it’s 24k because a dishonast jeweler said so. Another misconception is confusing karat (the purity measurement for gold) and carat (the weight measurement for diamonds). In this post, we’re going to talk about the “k”; it’s different variations, i.e., 10k, 14k, and 18k, and the pros and cons. Pure gold has 24 karats. Logically, it consists of 100% gold. You might find the inscription “750”somewhere on an 18k gold ring. This means 18 karat gold only consists of 75% gold. The remaining 25% are different metal alloys that give more hardness and durability to the gold. Usually, you won’t be able to find 24-karat gold rings. Simply because pure gold is a soft metal that tends to bend and scratch very easily. This makes pure gold quite impractical for chicago daily wear. In fact, you would be able to notice scratches and deformations in a 24K gold ring within days of wearing it! This is why several metal alloys are added to gold. Yellow gold will usually be mixed with metals such as silver, palladium, platinum, and nickel to make it sturdier. While 24K (pure) gold is very rare in rings, it can be encountered more often in earrings as they get subjected to a smaller amount of wear and tear. 24K gold has the advantage of an intense yellow color tone, whereas it is tough to distinguish between 10K, 14K, and 18K gold with your bare eyes. Now, let’s have a closer look at 10K, 14K, and 18K yellow gold, and find out the advantages and disadvantages for every yellow gold metal type. Pros and Cons of 10K Yellow Gold. The first striking thing about 10K gold is it contains more alloy than gold. It has 41.7% gold and 58.3% alloy. 10K is considered cheaper than 14K gold, and it’s actually dubbed as discount gold! In fact, top online diamond ring vendors don’t even offer 10K gold. 10K looks slightly paler than 14K, but you won’t be able to see the difference with your bare eyes. It will also tarnish more quickly than 14K or 18K, but with regular care, this shouldn’t be an issue. Does that mean you shouldn’t buy a 10K gold? Of course not! 10K undoubtedly offers excellent value for money. Although the difference in durability is not as big as 18K vs. 14K, 10k is noticeably cheaper and more durable than 14K. All in all, 10K gold is a good choice for people looking for the best price! Pros and Cons of 14K Yellow Gold. Being the most popular choice, nearly 90% of all wedding rings and engagements rings sold in the United States consist of 14K gold. Why is it so popular? 14K contains 58.5% gold and is the perfect compromise as it’s still quite durable and will not easily tarnish. It also has a beautiful yellow gold color that you’ll have a hard time telling apart from an 18k. Aside from being a premium gold, it is still comparably cheap. There’s a huge gap in durability between 14k and 18k as the former will usually take much longer to show visible marks of wear and tear. This is why 14k gold is the best choice for anyone looking for the perfect balance in durability, price, and look in Chicago. Pros and Cons of 18K Yellow Gold. 18K gold consists of 75% gold, and among commonly sold gold metals, it has the highest amount of gold. 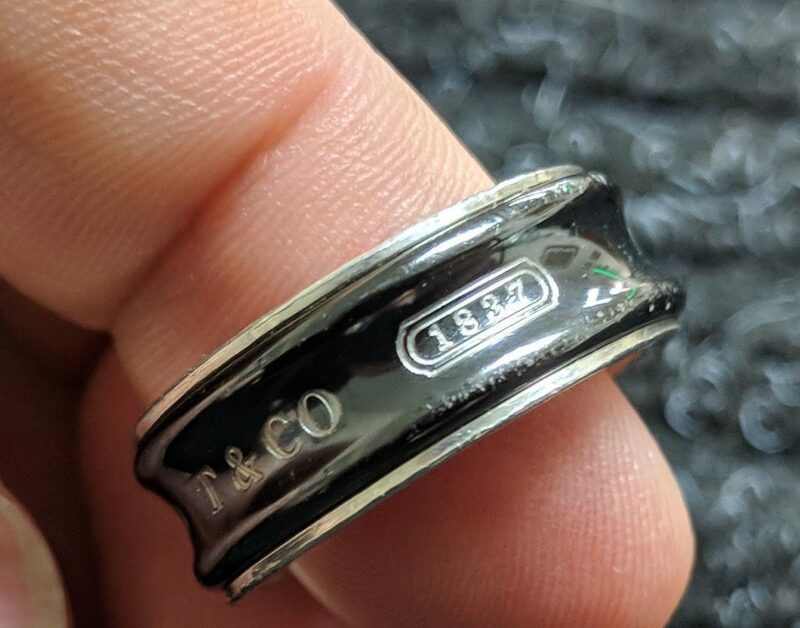 You won’t usually find gold rings beyond 18K because they tend to get scratches and deformations way too easily.18K is typically used for high-end jewelry like diamond engagement rings. Obviously, 18K gold is the most expensive, but it’s also the one that’s least likely to tarnish. It is, however, more prone to being affected by every-day use as it is softer. That said, 18K gold rings require more care than 14K yellow gold rings. It will be a challenge telling 14k and 18k apart. And if they look the same, would you pay extra for a feature you cannot see? 18K gold rings are the best choice for anyone who wants to have the most amount of gold in the ring while still possessing enough durability. Needless to say, preferring18K over 14K is mostly a matter of knowing that the 18K gold ring contains more gold and is, therefore, more exquisite. Many of us hold onto things for years, sometimes decades, believing our “treasures” — well-considered purchases made for investment, collections methodically assembled, or even family heirlooms — will yield big rewards. Some take pride of place on the mantel; others are stored away in boxes that crowd the basement or languish in the attic. Unfortunately, though, the goods we were sure would appreciate in value often turn out to be worth nothing, or at least not much more than we paid for them. A $35,000 copy of “The Freewheelin’ Bob Dylan” or the Beatles’ “White Album”? Some records may be worth something, but even with vinyl having a renaissance, no long-neglected albums from junior high are likely to finance the next generation’s college tuition. Most newbies are simply buying re-issues and contemporary releases, and veteran collectors want pristine original pressings. The most valuable albums are rare and ideally kept in climate-controlled, dust-free storage. Otherwise, expect pennies on the dollar. Stamps, like so many other collectibles, are filled with variables. Condition plays a big part in determining value, as do age and rarity. The casual collector who simply saves what looks pretty or interesting, ripping off the corner of an envelope to save that delicate flower, historical figure, or stellar landscape, will wind up with boxes worth very little. The same goes for stamp albums for children or beginners that are sparsely filled — and any U.S. postal stamps from the past 70 years, which is what most people have. Every so often, news of a rare coin, perhaps a recently discovered misstep by the U.S. Mint, gets people emptying their pockets in search of a jackpot find — and good luck with that. More common is the collecting of wheat pennies (also known as wheatbacks or wheat cents), based on hearing that they’re worth more than their face value. That just means they’re worth more than a cent — from 3 to 4 cents to a few dollars at the most — so it would take a lot to make the seller rich. McDonald’s has been selling Happy Meals since the late 1970s, and many of the tiny toys included with the food have indeed become collectibles worth several hundred dollars for a complete set. But most people probably haven’t collected all 101 of those “101 Dalmatians.” And like many other youth collectibles, Happy Meal toys are worth big bucks only in mint condition with their original packaging — which includes the Happy Meal box. Alas, these giveaways are most often ripped open and played with moments after purchase. “Brown furniture” is a catchall term in the antiques trade for sturdy, dark-wood warhorses such as cabinets and sideboards, dining tables, and bedroom sets. Museum-quality work by noted crafters and designers of historic importance commands the prices one might hope, but everyday home furnishings from the late 19th and early 20th centuries have taken a hit on aesthetic and monetary fronts. Today art deco and midcentury modern pieces are in demand. A walk through many an antique or consignment shop will find the old brown pieces relegated to the back or basement, with price tags to match. Unless you’ve dug into a stash of comics and uncovered ultra-rare issues from the earliest days of Superman, Batman, or the classic Marvel heroes, you’re likely holding onto a pile of childhood memories, and nothing more. As baby boomers age, they are paring down and trying to cash in, and the market for comics is glutted. Condition, as with so many collectibles, is key too. A random check of price guides and online marketplaces might prove eye-opening, to say the least. The costume jewelry market is driven by trends and pop culture. One season, long necklaces for layering are in; next it’s disco-era chokers. Some collectors bypass anything that isn’t signed (designers stamp their name or logo on the reverse), so iconic pieces from noted designers and manufacturers (vintage Miriam Haskell, Kenneth Jay Lane, Weiss, Eisenberg, and others) command top dollar. But by nature, the bulk of costume jewelry is mass-produced, designed to bring a bit of glamour within the reach of everyone. That means there’s an overabundance of pieces that, while pretty and intricate, fill the $5 or $10 tables at flea markets. And here, again, condition plays a part. It’s hard to unload pieces with missing rhinestones or faulty clasps. That old model train may not have seen the underside of a Christmas tree in years, but it was made by Lionel, which has been producing model trains for more than a century, so it’s tempting to think it’s valuable. “Many of the trains made in the early years right up through the present have kept their value, and some are highly valued by collectors,” the Lionel Collectors Club of America says. But also: “More common ones, while worthy of running, may not have a high collector value.” As usual, condition, rarity, and an original box are key. If the train is in beaten-up boxes jammed with twisted wires, bent tracks, and a bit of rust, forget it. That china serving platter given at your grandparents’ wedding and used by generations has finally been passed down to you. It was never nicked or chipped — a miracle — and it has to be worth something. But with so many reproductions or revivals of vintage patterns, it can be difficult for an amateur to authenticate a piece and accurately gauge collectible-quality condition and rarity. If the platter is pristine, and from a noted line such as Royal Albert Old Country Roses, you may be in luck. More often, though, passed-down pieces are valuable only for their family history. Some parents will pay anything to share a favorite childhood book with their own children. There are also collectors who collect books for their covers, or to frame pages for decorative purposes. Last year, two first-edition copies of the Dr. Seuss classic “Green Eggs and Ham” from 1960 were selling for $4,750 and $3,500 on Biblio.com — but those featured quite specific qualities that most likely matter to just the rarest collectors. After all, the charm of most children’s books is they’ve been loved: They often carry children’s names (printed perhaps for the first time by them), bent pages, random crayon marks, or even little stains — and those are not exactly selling points, especially when so many classics get frequent printings. Many people focus on themes or manufacturers when collecting commemorative plates from the ubiquitous American artist Norman Rockwell. But owners should have thought twice before coddling these items, as an array of original retired/mint condition plates complete with box, Styrofoam and certificates of authenticity sell for less than $50 on Rockwellplates.com. Remember when parents would literally rip Cabbage Patch Kids from each other’s hands in stores? When the soft-sculpture dolls went national in the early ’80s, people couldn’t “adopt” enough of these for around $30. As with many youth-oriented collectibles, condition is everything, so unless your “kid” hasn’t been out of its box, expect to perhaps break even. Rah, rah … rah? Those felt pennants hung by generations of students carry plenty of tradition — but their value is, again, subjective. While alumni might feel they’ve held onto gold, they likely won’t be able to pay off that college loan. An undated Boston College pennant “complete with tack hole” can go for only $15 on eBay. Hummel figurines were based on the drawings of a nun with the surname Hummel — a fact that may be worth more than any of the zillions of collectibles her work sparked. The Hummel figurines from the Goebel company, first made in the 1930s, have graced many a mantel. But their charm has fallen largely out of favor. Many of the most ardent collectors have died, and this month, the classic “Village Boy” holding a basket was listed for $1 on eBay. Miniature die-cast cars from Mattel introduced in the late ’60s kept children excited for playtime for years, and collectors happy. Unfortunately, the sheer quantity of the models produced and the fact that most were played with roughly make for poor prices. There have been record sales, but more than a few 1960s models can be scored for a couple of bucks. There are always going to be Barbie dolls that command top dollar, because there are always going to be deep-pocketed collectors who will pay anything. But the Barbies most people own, especially those “previously loved,” won’t make anyone rich. Even a Donna Karan Bloomingdale’s Limited Edition doll could be had for $22 online this month. This is a tricky category. There are some authenticated signatures that will trade for the price of a new car or house — but the prevalence of forgeries, mass-produced products, and the like mean there’s a greater chance that the jersey you bought at the local convention center isn’t worth much. If you witnessed the autograph, that’s another story, and lucky you. Andy Warhol was perhaps the world’s most famous cookie-jar collector, and his trove famously sold for around a quarter-million at Sotheby’s in the late 1980s. But for the general collector, these relics of the past — do today’s diet-conscious masses even eat cookies? — can be scored for a few bucks at the local flea market or well under $50 on eBay. Everyone knew you collected them: porcelain or metal bells commemorating locations, destinations, and special events. They brought them back from Las Vegas and London for you, joining those you collected on your own travels or at special events, such as a town’s celebration of the Bicentennial. Today, you can travel the world through eBay, picking up bells from Mount Vernon ($4) to Hawaii ($6), Singapore ($5) or splurge on Liberace ($18) … not exactly world-class valuations. So, bells weren’t your thing? Maybe people loved to bring you salt-and-pepper shakers. Today, most sell on eBay for well under $10 — not much more than the original prices. A recent lot featured cowboy hats, King Kong and the Empire State Building, pagodas, spice canisters, seagulls, horse heads, and quite a few more, all for $40. Those pairs crowding your shelves are destined to collect more dust. Broadway shows always seem like a luxury, especially with today’s ticket pricing, and vintage Playbills, especially from opening nights, might seem like theatrical gold. Unfortunately, prices have really dropped since the advent of the Internet, Broadway World readers say. A 1964 Playbill for “Funny Girl” featuring Barbra Streisand, once going for upward of $350, can now be had for around $10. There are exceptions, as always, but these collectibles may be best valued for the memories. A decorating craze for vintage farm tools had collectors buying items for their looks, often not even knowing the original use. But reproductions glutted the market, and today, with tastes often skewing toward the modern, tools from pitchforks to sheep shears, and sickles to pulleys, can easily be scored on for well under $50. You’re cleaning out grandma’s closet and come across dozens of dresses. Unless they have designer labels, back-in-trend silhouettes, or standout details in pristine condition, you’re basically looking at a pile of old clothes. Vintage collectors are ruthless when it comes to provenance and condition, so know that before listing a 1950s prom dress for much more than $75, the going rate on eBay. Kitschy carnival souvenirs were the darlings of antique shops for ages — “chalkware” dogs and Kewpies of particular interest. But these easily dented and damaged onetime prizes are no longer held in such esteem. It’s a rare example that fetches more than $25. When an artist dies, they say, their work’s value goes through the roof. Well, with Thomas Kinkade, the so-called “Painter of Light,” the sheer quantity of work has left some collectors chagrined. After his 2012 death, The Guardian reported that his work was featured in one of 20 U.S. homes, and now an Old World Santa ornament can be found for $3 online, and a framed “Spring Gate” painting for $15. As with so many toys, kids loved — and played with — their annual Hess Truck gift, rarely leaving them untouched in the box. If you have the first one from 1964, when it sold for $1.39, and it’s in pristine condition, the Antiques Almanac says you may be sitting on nearly $2,500. A quick check on prices in mid-July, though, shows that since dozens of models, especially those from the 1970s, sell for well under $40. There are plenty of Hess collectors, but skyrocketing prices are not the norm. The classic handcrafted baskets by Longaberger — for years, a company based in a distinctive basket-shaped building in Ohio — typifies the collectibles market: They surged in value in the 1990s on the secondary market, but have been static since. With the company’s shutdown in May, who knows? Collector prices may soon surge. Sell gold Chicago is one of Chicago’s largest Tiffany jewelry buyers. Tiffany is world renowned for its luxury goods and is particularly known for its diamond jewelry. Tiffany designs are classic, iconic, and never go out of style. Tiffany pieces have high resale value because of the longstanding brand it has nurtured and developed since the first “Blue Book” catalog in 1845. To this day tTiffany invests considerable resources in advertising and promotion which adds to their reputation and Tiffany buyers’ demand for their products. Sell gold chicago is one of Chicago’s largest Tiffany jewelry buyers. We buy Tiffany, Cartier, nd David Yurman jewelry direct from the public. We buy Tiffany engagement rings and jewelry with diamonds or gemstones. Sell gold chicago is a faster and safer way to sell Tiffany jewelry. Sell Tiffany engagement rings and all other kinds of jewelry. We pay highly competitive prices for a wide variety of items including rings, watches, necklaces, brooches, earrings. Going through someone’s stuff after that person dies can be a brutal task. At Oakton Coins we help people in the Chicago area liquidate Estates. You’d be surprised how often someone who moved away from the Chicago area years ago gets pulled back to deal with selling masses amount of stuff after someone in the family passes away. If you’re in the situation make sure you visit us, Yes we buy Coins, all forms of silver & gold collectibles and so on. But because we’re buying and selling all the time, we have contact to most everyone in the Chicago area who will buy pretty much anything. We can save you a lot of time & you will probably end up with more money. Let us help you get back to your normal life. When searching for coin dealers in Chicago it’s important to find an experienced professional. We have that experience. We welcome inquiries from Banks, Auction Houses, Law Offices, Institutions and Individuals. Our company handles millions of dollars in Proof Sets, Mint Sets, Silver Dollars, Type Coins, and United States Gold Coins every year. We are the premier rare coin dealers in Chicago! To those of you who want to sell gold coins in Chicago, we pay strong prices for quality United States gold coins. No collection is too big or too small. We are prepared and able to execute any size transaction. You can also sell silver coins and gold, silver, platinum and palladium bullion products. We have solid bank, trade and client references and a proven, consistent track record in Numismatics. Settlement is made by business check, cash, cashier’s check or it can be directly wired to your bank account. We have private, comfortable and secure Shop conveniently located at 4547 Oakton, Skokie. If you’re looking for rare coin buyers in Chicago, you can put experience on your side by determining how long a dealer has worked as a professional in the industry. You can also determine their level of commitment by the trade organizations they belong to and the existence of a retail location. In the 21st century, a robust website and excellent online reviews is another good indicator of the character of the company you’re dealing with. 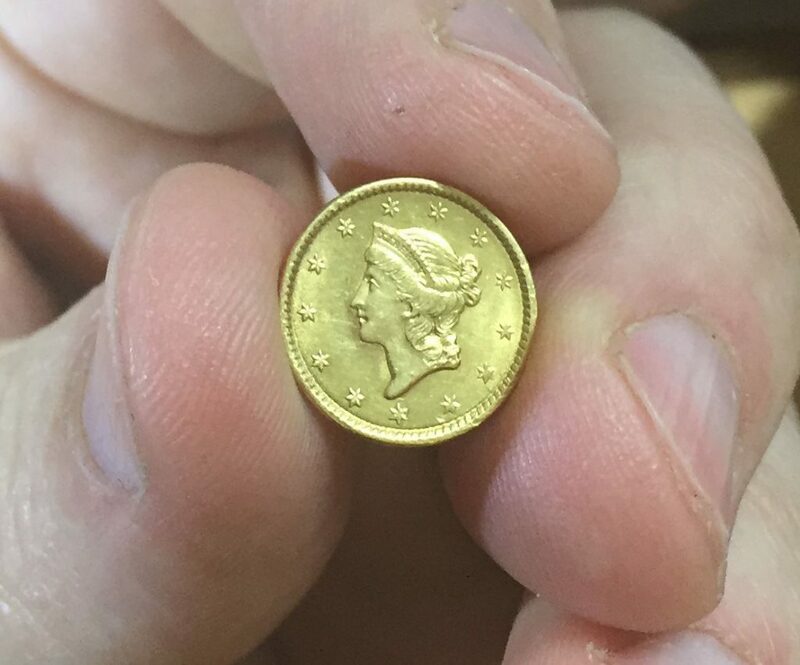 At Oakton Coins our strengths are intentionally broad, covering many different fields of antiques and collectibles but our foundation is centered upon the field of Numismatics. When you require services from rare coin buyers in Chicago, we encourage you to come in or call us. When you need a coin appraisal in Chicago, we are the best choice. There are two main factors when it comes to appraising coins, one being authentication and the other being an accurate determination of the condition or “grading”. Authentication and grading require skill and a great deal of experience. There are many methods used to create counterfeit coins and a skilled numismatist must be familiar with all of them in order to recognize the telltale traits that indicate a potential fake. Grading is another matter all together, suffice it to say, there is no substitute for experience in this field, the “grade” or “condition” of a coin generally contributes substantially to the intrinsic value, so accurate grading is absolutely necessary for an accurate appraisal. We have decades of experience authenticating and grading rare coins for a variety of prestigious international rare coin companies. If you have a need for a professional coin appraisal in Chicago or any of the surrounding areas, contact us today! If you’ve made the decision to buy gold coins in Chicago, make sure to give us a call so we can give you a highly competitive bid. With the high price of gold over the last several years, one of the most popular issues is the United States $20 gold coin series. These include the Liberty and St. Gaudens designs, each weighing 33.4360 grams with a total net gold content of 0.9675 oz. We also broker most United States and World bullion coins including the American Gold Eagle, Austrian Philharmonic, Canadian Maple Leaf, South African Krugerrand, Australian Kangaroo and Gold Nuggets, Chinese Pandas, British Sovereigns, Swiss and French 20 Francs, Mexican 50 Pesos and many more! We handle circulated common dates and high grade key dates as well so call ahead and make an appointment so we can provide you excellent service. We are a local, professional and trustworthy alternative to our nationally advertised competitors. We’ll save you money and guarantee a pleasant and professional transaction when you’re ready to buy gold coins in Chicago or any of the surrounding areas. Are you looking to buy rare coins in Chicago? If so, we have an excellent selection in stock, some of which can be found on our website. Other items are in stock but not yet listed online. Our stock includes key dates from most major series such as Silver Dollars, Lincoln Cents, Buffalo Nickels, and Indian Cents etc. 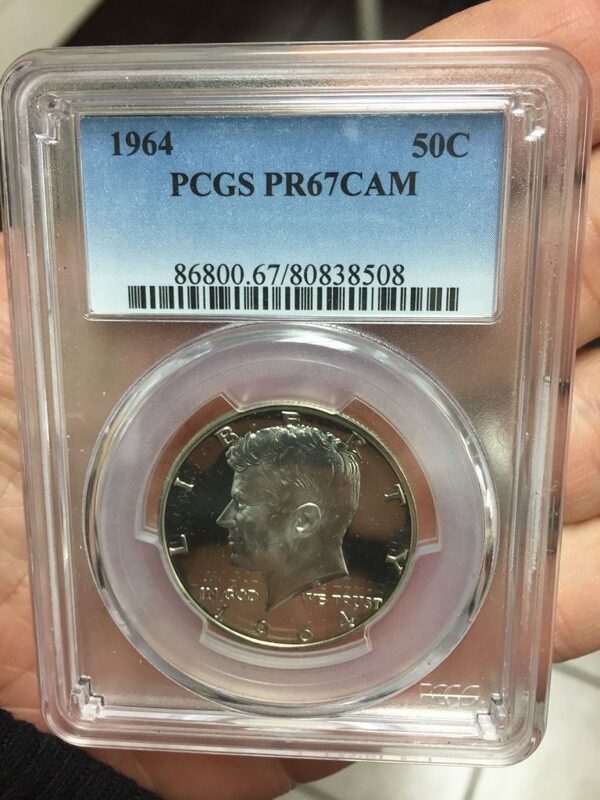 As most collectors know, when the value of a coin is below $50.00, the cost of certification just doesn’t make sense. Our raw coin inventory includes many circulated and uncirculated specimens from most series. Our prices are fair, our grading is conservative and consistent and we enjoy working with collectors and dealers alike. If you buy rare coins in Chicago or any of the surrounding areas, why not give us a call and see what we have to offer? -United States gold coins: All early type, $20 St. Gaudens, $20 Liberty, $10 Liberty, $10 Indian, $5 Liberty, $5 Indian, $4 Stella, $3 Indian, $2.5 Indian, $2.5 Liberty and all types of Commemorative gold coins. -Small Cents: Flying Eagle, Indian Cents and Lincoln Cents. A Hawaii overprint note is one of a series of banknotes (one silver certificate and three Federal Reserve Notes) issued during World War II as an emergency issue after the attack on Pearl Harbor. The intent of the overprints was to easily distinguish US currency captured by Japanese forces in the event of an invasion of Hawaii and render the bills useless. 1935-A $1 HAWAII WWII HIGH GRADE BROWN SEAL SILVER CERTIFICATE BANKNOTE…….. US Collectible Coins, Whole collections, Collectible US Paper Money, US Proof & Mint Sets, St Gauden Gold Coins, 2 Cent Piece, buffalo Nickel, Wheat Pennys, Trade Dollar, capped bust quarter, Carson City morgan Dollar, Silver 3 cents, PCGS coins, error coins, silver and gold coins, investment coins, commemorative coins, old coins. I could go on for pages… We buy all types of collectible coins & paper money. Very close to Chicago, but no parking tickets. We purchase gold coins & other precious metal items. The eagle was a United States $10 gold coin issued by the United States Mint from 1792 to 1933. The eagle was the largest of the five main decimal base-units of denomination used for circulating coinage in the United States prior to 1933, the year when gold was withdrawn from circulation. These five main base-units of denomination were the mill, the cent, the dime, the dollar, and the eagle, where a dime is 10 cents, a dollar is 10 dimes, and an eagle is 10 dollars. The eagle base-unit of denomination served as the basis of the gold quarter-eagle (US$ 2.50), the gold half-eagle (US $5), the eagle (US $10), and the double-eagle coins (US $20). With the exceptions of the gold dollar coin, the gold three-dollar coin, the three-cent nickel, and the five-cent nickel, the unit of denomination of coinage prior to 1933 was conceptually linked to the precious or semi-precious metal that constituted a majority of the alloy used in that coin. In this regard the United States followed long-standing European practice of different base-unit denominations for different precious and semi-precious metals. In the United States, the cent was the base-unit of denomination in copper. The dime and dollar were the base-units of denomination in silver. The eagle was the base-unit of denomination in gold although, unlike “cent”, “dime” (or “disme”), and “dollar”, gold coins never specified their denomination in units of “eagles”. Thus, a double eagle showed its value as “twenty dollars” rather than “two eagles”. The United States’ circulating eagle denomination from the late 18th century to first third of the 20th century should not be confused with the American Eagle bullion coins which are manufactured from silver or gold (since 1986), or platinum (since 1997). 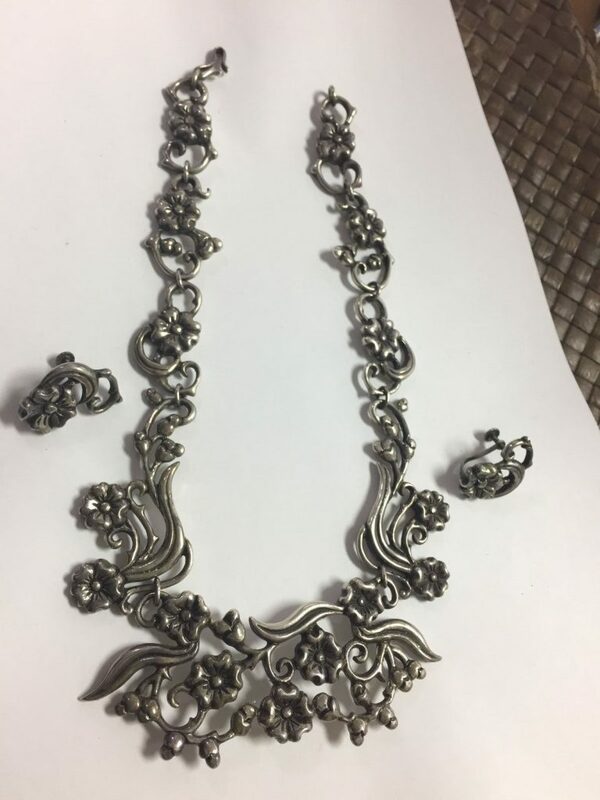 Vintage DORIS CORPUS MEXICO SILVER Flowered Vine Necklace – earrings. 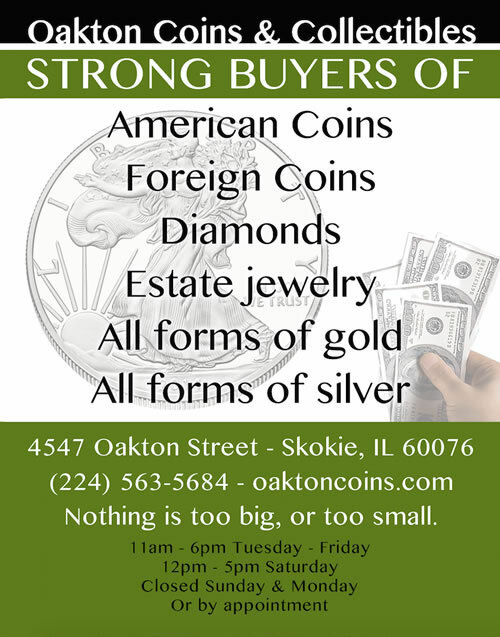 Oakton Coins & Collectibles buys all forms of gold and silver from Chicago pawn Illinois. We are not a pawn shop. We do not have a pawning license.